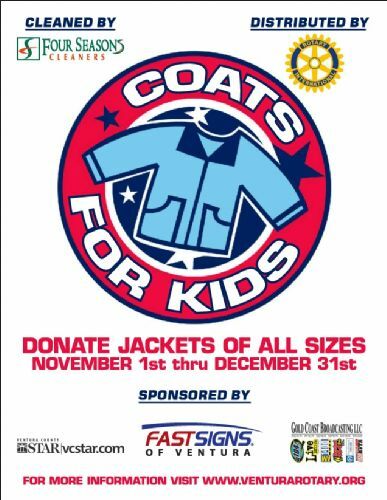 The Rotary Club of Ventura started a program to provide coats for the needy of Ventura County. The Rotary Club of Ventura have been doing this for the last 7 years. The Islamic center of Ventura will be participating this year. Brothers & Sisters please participate by donating coats, sweaters, jerseys etc. to keep those warm that needs it this winter. Allah will greatly reward you and your family.